I am so delighted to be teaching at Shrifest next fall! The term “eka pada” means one foot, or one legged. Many classical yoga postures have one legged variations which challenge us as we balance opposites, and in turn activate our deep core muscles. In this Iyengar Yoga workshop we will explore the unity of muscles and fascia that define the core, and practice a playful sequence of postures with eka pada variations to foster strength, balance and restoration. The term “urdhva mukha” means upward facing. Many classical yoga postures have stages in which the head lifts up and the cervical spine moves into extension. Therapeutically, in the Iyengar tradition, this is an extremely important action for strengthening the base of the neck and stabilizing the shoulders. In this workshop we will explore a thorough sequence of postures to bring awareness, strength and healing. The three diaphragms of the body are the pelvic diaphragm, respiratory diaphragm and the thoracic inlet or vocal diaphragm. Developing an understanding of the different diaphragms in yoga practice allows for greater stability in the hips and lower back, and leads to increased freedom of the breath. In the first half of this Iyengar Yoga workshop we will practice a sequence of asanas to prepare the body for pranayama, and then will spend the rest of the time in restorative asanas to give deep nourishment and rest. Many people live with tightness, instability and chronic pain in the neck and shoulders. In this workshop we will explore therapeutic asanas to bring mobility, strength and proper alignment to the complicated arrangement of the cervical spine and the shoulder girdle. This workshop begins with deeply soothing, restorative asanas and progress through variations of standing, forward bending, twisting, back bending and inverted postures to find ease, clarity and freedom in the neck and shoulders. For those with chronic neck or shoulder issues, this workshop will include a very specific therapeutic sequence which will have healing benefits when practiced daily. On February 6, 2016 I will be teaching a Handstand Workshop at Roots Yoga Studio. Handstands are a powerful pose to bring energy to your being, to shift moods, and to develop strength and resilience. They are also integral to understanding the healthy alignment of the shoulders, arms and hands. We will explore a sequence of preparatory asanas to explore the mechanisms for the healthy movement, stability and alignment of the shoulders for the safe practice of handstands, as well as practicing other inversions. 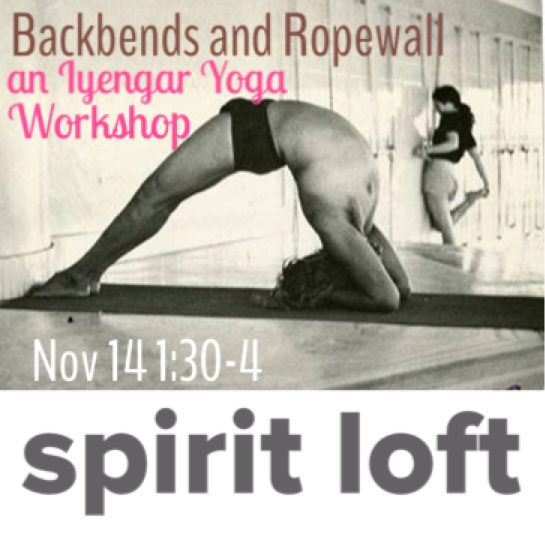 I am excited to teach another Backbends and Ropes Workshop at Spirit Loft. In this workshop we will explore the wisdom of B.K.S. Iyengar and his insightful ways of practicing backbends with different props and the use of the rope wall. B.K.S. 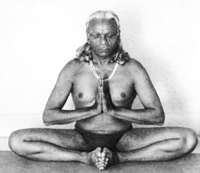 Iyengar maintained a strong back bending practice until the end of his life. He passed away in August 2014 at 95 years old and was strong and healthy until his last days. He attributed his longevity to the strengthening effects of supported backbends and restorative postures. We will explore a practice in his honor. This workshop is open to all levels, however previous experience is necessary. 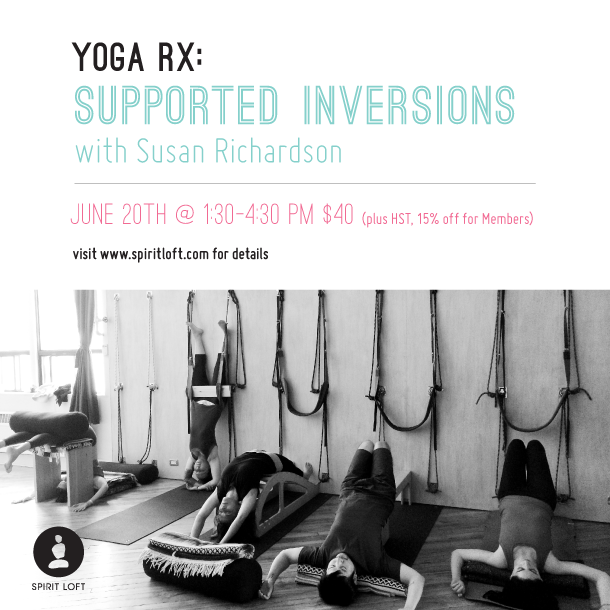 I am excited to teach this supported inversions workshop at Spirit Loft. I will bring all my favorite Iyengar props – backbenders, halasana benches, setu bandha sarvangasana benches, heart benches, and more!! We will also be using the rope wall and practicing many variations of different inversions with traction at the ropes. Be prepared for sumptuous, long holdings of the essential therapeutic postures. 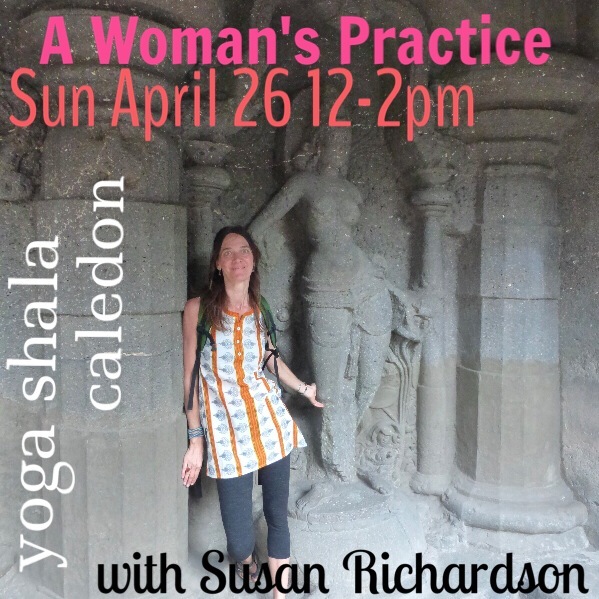 I am so excited to be teaching a workshop at Yoga Shala Caledon on April 26th. Join me for a yoga practice to replenish the body, and nourish it through its natural rhythms. We will explore postures that can be used to either bring energy and tone, or to calm and restore based upon monthly cycles and phases of life. In this workshop we will be mainly practicing supported inversions using props developed by BKS Iyengar. Be prepared to explore the delicious support offered by backbenders, heart benches, setu bandha benches, halasana benches and other props. In this workshop we will explore what it means to “ground” the femur bones and the humerus bones. Both the hip joints and the shoulder joints are ball and socket synovial joints which benefit from actions that lubricate the joint capsule and allow for both and tight succinct, compactness in the joint as well as a broad range of motion in the joint. The deeper we can organize the femur on the socket, the more we can access stability, a healthy range of motion, ease for the spine, shoulders and neck, as well as finding a release of tensions in the organic body. Likewise, when we can fully ground the humerus bones for weight bearing inversions, we can liberate our breath, find space through or inner body, and receive all the benefits of being up-side down. This workshop is open to all levels. Be prepared for a slow, deep, therapeutic practice. 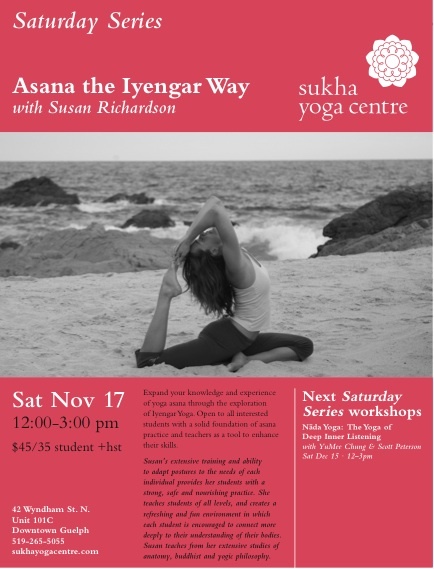 A workshop inspired by Susan’s recent trip to Pune, India to study with the Iyengar family. We will explore all aspects of a well balanced practice -energetic and restorative, back bends and forward bends, twists and inversions. While in India Prashant Iyengar spoke of how asanas are tools to observe consciousness. We will discuss how the asanas allow us to integrate the body, breath and mind. Explore the wisdom of B.K.S. Iyengar and his insightful ways of practicing backbends with different props and the use of the rope wall. B.K.S. 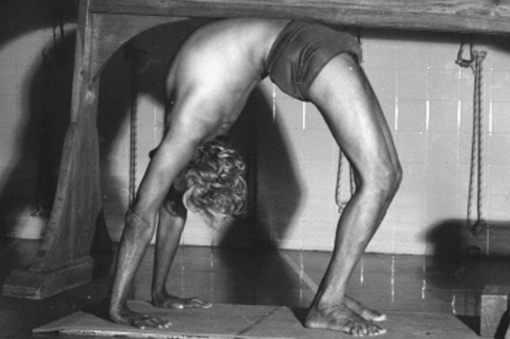 Iyengar maintained a strong back bending practice until the end of his life. He passed away in August 2014 at 95 years old and was strong and healthy until his last days. He attributed his longevity to the strengthening effects of supported backbends and restorative postures. We will explore a practice in his honor. This workshop is open to all levels and will allow each student to practice in a way that is nourishing, healing and appropriate for them. Practicing with ropes is a deeply nourishing, and therapeutic approach to yoga. In this workshop we will explore variations of inversions and backbends with the aim to soothe, replenish and strengthen our beings. This workshop is open to all levels of practitioners and will allow each student to practice at a level that is appropriate for them. Spirit Loft is located on Carlaw Ave and is fully equipped with Iyengar style props and ropes. 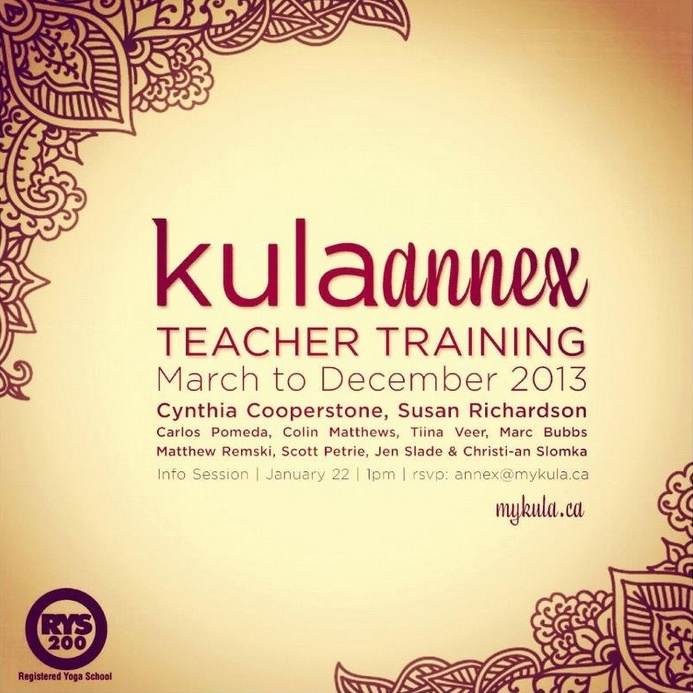 The Kula Annex Teacher Training Program is a 200 hour program designed as a deep exploration of asanas, alignment principles, pranayama, meditation and philosophy. The program is an opportunity to connect deeper, to cultivate a steady practice, and to embrace the life long process of learning and self-discovery. I will be teaching experiential anatomy and an intro to Sanskrit in the program which spans ten months. The program is generously designed and takes place over ten weekends, with 18 hours of training sessions each weekend. The faculty is wonderful and I feel honored to be in such great company. It is said you are only as young as your spine is flexible. Yet, for many of us backbends and tremendously challenging. This 4 week series of Level 2 classes will allow for the necessary time to explore inversions, backbends and rope work to bring awareness and flexibility to the spine. Previous experience with Iyengar yoga required. Please contact me if you have any questions. Register through Healing Arts Centre @ 416 546 2311. In this workshop we will explore the wisdom of B.K.S. Iyengar and his insightful ways of practicing backbends with different props including ropes. At 95 years old B.K.S. Iyengar maintains a strong backbending practice and attributes his longevity to the strengthening effects the practice brings. This workshop is open to all levels. We will include practice with the rope wall which helps to bring length to the spine through traction. A 3 week series on Mondays from 12:30- 2:30 at the Healing Arts Centre. In this series of Level 2 classes we will explore a variety of poses that create intelligence in the peripheral body to awake the center of our being- the spine. The Healing Arts Centre is a beautiful Iyengar Studio located in the Annex. It is fully equipped with props and ropes. This will be a wonderful opportunity to deepen your practice. The Kula Annex Teacher Training Program is a 200 hour program designed as a deep exploration of asanas, alignment principles, pranayama, meditation and philosophy. The program is an opportunity to connect deeper, to cultivate a steady practice, and to embrace the life long process of learning and self-discovery. NEW DATE COMING FOR FALL/13!!! 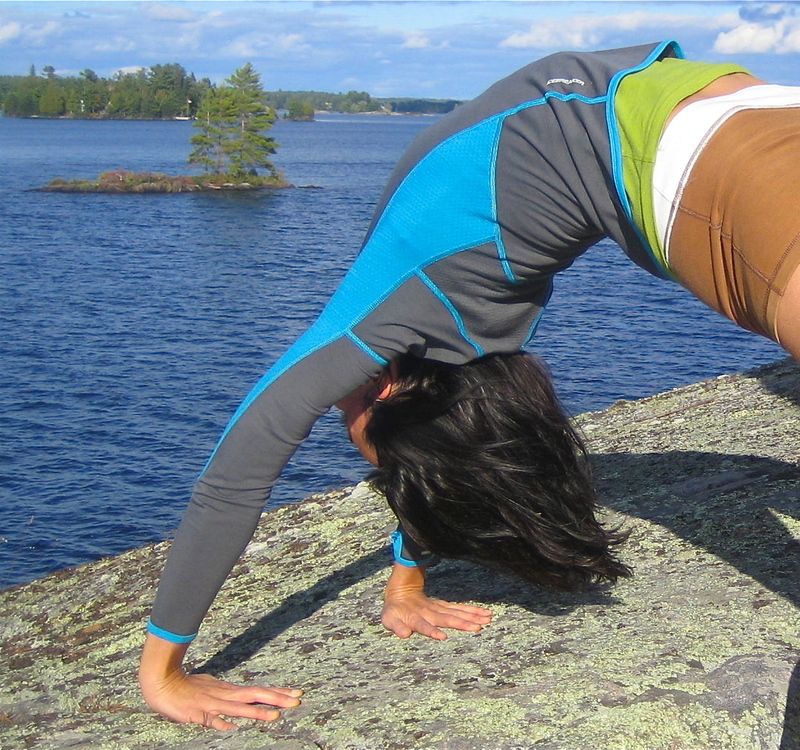 Expand your knowledge and experience of yoga asana through the exploration of Iyengar Yoga. Open to all interested students with a solid foundation of asana practice and teachers as a tool to enhance their skills. Sukha Yoga Centre is a beautiful well equipped space and has wall ropes. In this workshop we will explore standing poses and rope work. One of the core elements of a healthy yoga practice and a healthy life is the art of relaxing deeply. From this ability the individual is able to provide themselves with deep rest and healing. Restorative yoga is a style of yoga that enhances the ability of the student to relax and let go of tension, completely calming the nervous system. This workshop will focus on supported postures and pranayama as a gateway to meditation. Through these powerful practices, one cultivates the ability to maintain this state of inner quietude and awareness even during more difficult moments. Come and join us!! The event is all day and I will be teaching from 12:30-1:30. Join teachers LAURIE CAMPBELL, SUSAN RICHARDSON and CHRISTINE FELSTEAD to explore yoga at a level beyond regular drop-in classes. Delve deeper into yoga and expand your understanding of the theory, the philosophy, and the asanas. Advance your personal yoga practice to a higher level by personal coaching by some of Toronto’s best teachers. Train to become a yoga teacher in your community or train simply for your passion for yoga. Susan will be teaching experiential anatomy to integrate a deeper understanding of anatomical principles in the practice of asana. This is a free workshop for members of YOCOTO, Yoga Community Toronto, which organizes the Annual Yoga Festival. The Festival is open to practitioners of all levels: those just discovering yoga, long-time students, teachers from all lineages and traditions. 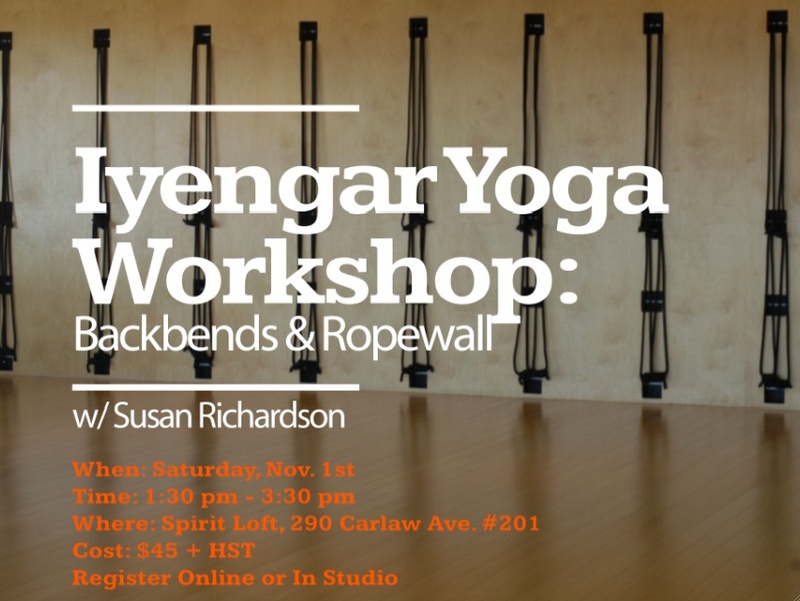 This workshop will explore the wisdom of the Iyengar practice to find harmony in the upper back and neck through therapeutical alignment principles in twisting postures. 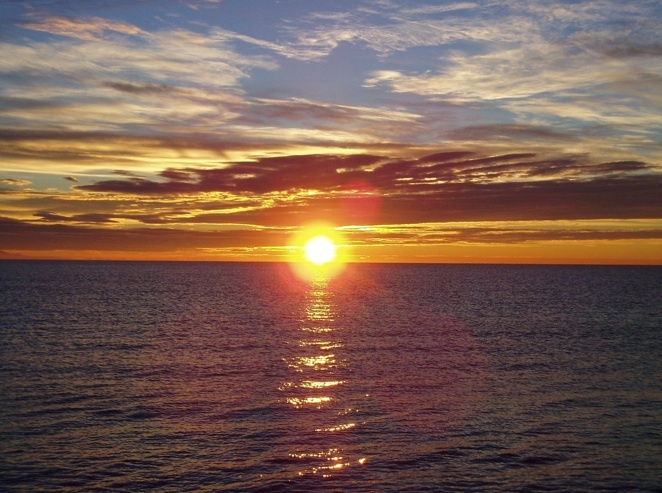 In the eastern systems, there are five main elements- earth, water, fire, air and ether. Symbolically these elements represent stability, mobility, heat, space and awareness. In this workshop we will explore how to incorporate an understanding of these elements into our practice, finding the balance between stability and mobility, between contraction and extension, between knowledge and awareness. This practice of standing postures, backbends and inversions will help you to develop your understanding os asana on a more subtle level and will lay the groundwork for the upcoming workshop on prana- Practicing with the Winds of Energy. In this workshop we will delve into an exploration of prana- the movement of life force energy as it manifests in our bodies. According to the yogic system, prana is expressed through five different vayus- winds of energy- that circulate the prana in different ways. In this workshop we will practice surya namaskar, sitting postures as well as pranayama, so that we may fully understand the movements of the inhalation, exhalation and also explore the bandhas that are associated with these winds. Devoping a clear connection with the breath refines our practice so that it may bring us all the tremendous benefits that yoga has to offer! To my ability it will also address the various health concerns and issues of the individual students who attend the class. Come prepared to have fun and rest deeply! Yoga Festival Toronto is a yearly festival of the Yoga Tradition inspired by content, vision, and community, held at the National Ballet School. The Festival aims to unite, inspire and support local practitioners, teachers, studios, and lineages with a broad range of presentation topics, practical classes, and round-table discussion and debate. 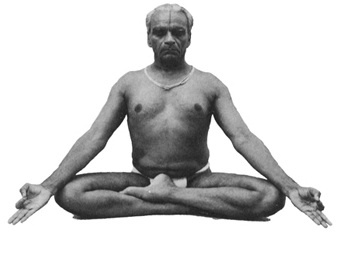 BKS Iyengar refers to the base of the pose as the “brain “ of the pose. 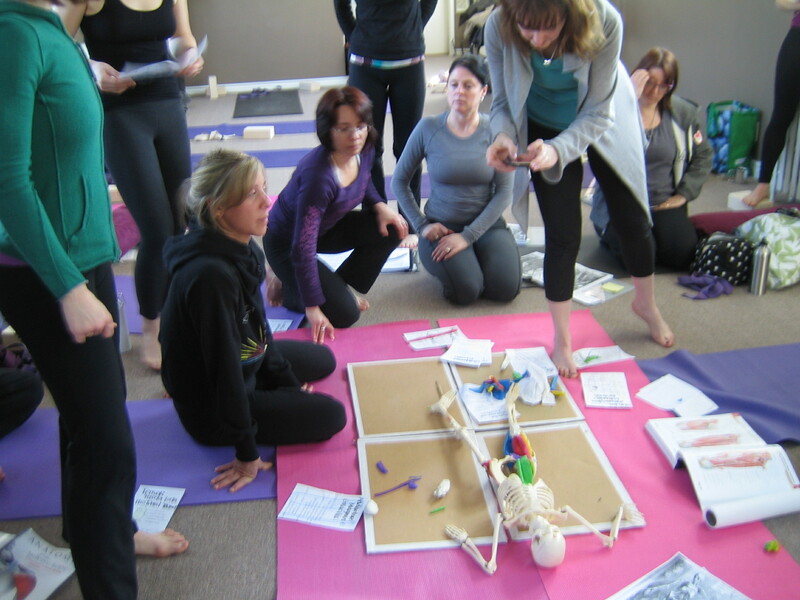 Through this workshop we will explore our connection to the earth, from our feet and legs through the arch of the pelvis and sacrum. 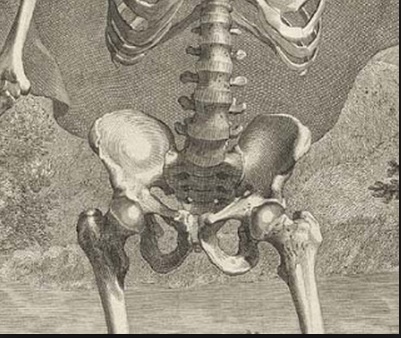 It is the grounding the femur bones that allows us to cultivate ease and expansiveness in our yoga practice. Iyengar yoga is a method of Hatha Yoga which emphasizes the balance between stability and mobility, and the development of self-awareness through precision in movement and attention to the more subtle aspects of posture and breath. This workshop will be an opportunity to practice standing poses and forward bends through the wisdom and intelligence of the work of B.K.S. Iyengar. If you keep the back skin of the neck passive and the tongue soft, there is no tension in the brain. This is silence in action, relaxation in action. The muscles of the shoulder blade are intimately connected to the back of the neck. When we carry tension and stiffness in our shoulders, this translates to tension in the neck and brain! It is through the alignment and stability of our shoulder blades that we can relax unnecessary tension and access ease of movement in our upper body. The shoulder girdle is intrinsically mobile in comparison to the pelvic girdle. In this workshop we will explore the balance between mobility and stability with regards to the shoulders through a practice of inversions, backbends and balancing postures. In this workshop we will explore the deep muscles that connect from the arches of the feet through the inner legs and pelvis to the spinal column. As we develop our awareness of these muscles and activate the bandhas associated with them, we can access the wellspring of energy that flows like the Ganges river. Restorative postures and pranayama will be included in this workshop. A one-month immersion with formal daily schedule: sitting meditation, asana practice, advanced anatomy, pranayama, philosophy and psychology, ethics and chanting. Michael’s July Intensive with guest teacher Susan Richardson (Iyengar), Sensei Barbara Joshin O’Hara (Zen), and Rosemary Jeans Antze (chanting). This is an opportunity to deepen an established yoga practice or mature one’s commitment to the myriad limbs that comprise a mature yoga path. This in-depth course will also provide creative tools and focused study for those who teach yoga. We will alternate between physical practice and study, silence and discussion, much like being in both a temple and a college classroom at the same time. Join teachers LAURIE CAMPBELL, JP TAMBLYN, and SUSAN RICHARDSON to explore yoga at a level beyond regular drop-in classes. Delve deeper into yoga and expand your understanding of the theory, the philosophy, and the asanas. Advance your personal yoga practice to a higher level by personal coaching by some of Toronto’s best teachers. Train to become a yoga teacher in your community or train simply for your passion for yoga. 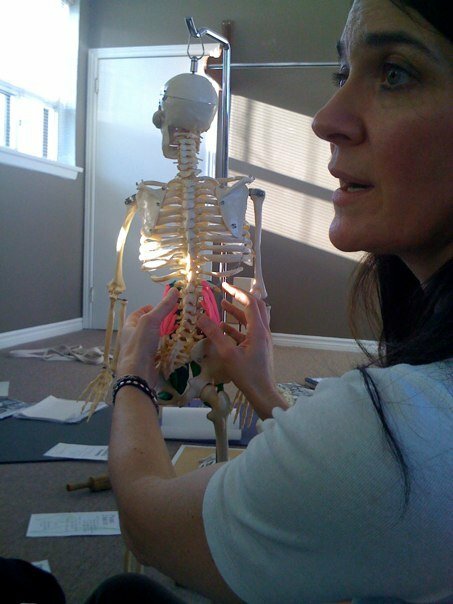 Susan will be teaching experiential anatomy to integrate a deeper understanding of anatomical principles in the practice of asana. This workshop will be an opportunity to experience deep relaxation, and the ability to cultivate this state of inner peace even during more difficult moments. 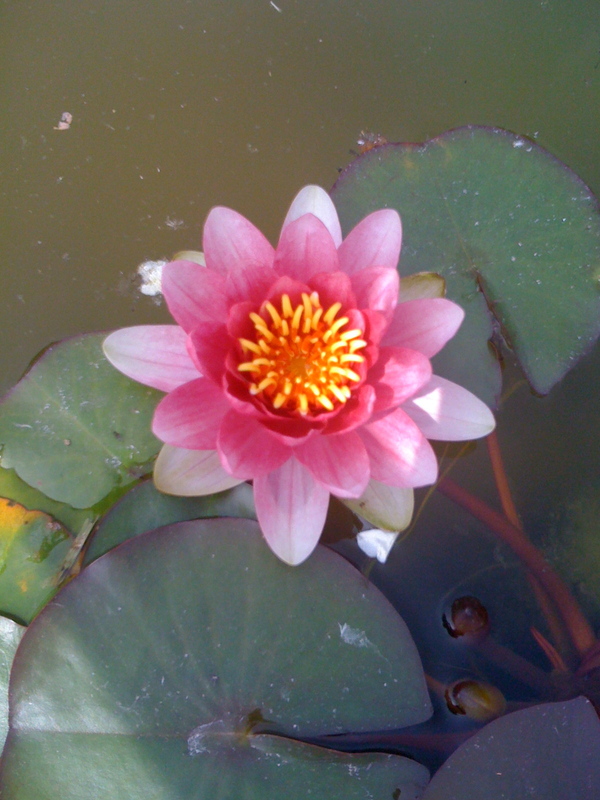 Time will be spent time both with restorative, supported yoga postures and sitting meditation practice. Join teachers LAURIE CAMPBELL, JP TAMBLYN, and SUSAN RICHARDSON to explore yoga at a level beyond regular drop-in classes.Delve deeper into yoga-the theory, the philosophy, and the asanas. Advance your personal yoga practice to a higher level by personal coaching by some of Toronto’s best teachers and optionally. Train to become a yoga teacher in your community or train simply for your passion for yoga. BKS Iyengar refers to the base of the pose as the “brain” of the pose. 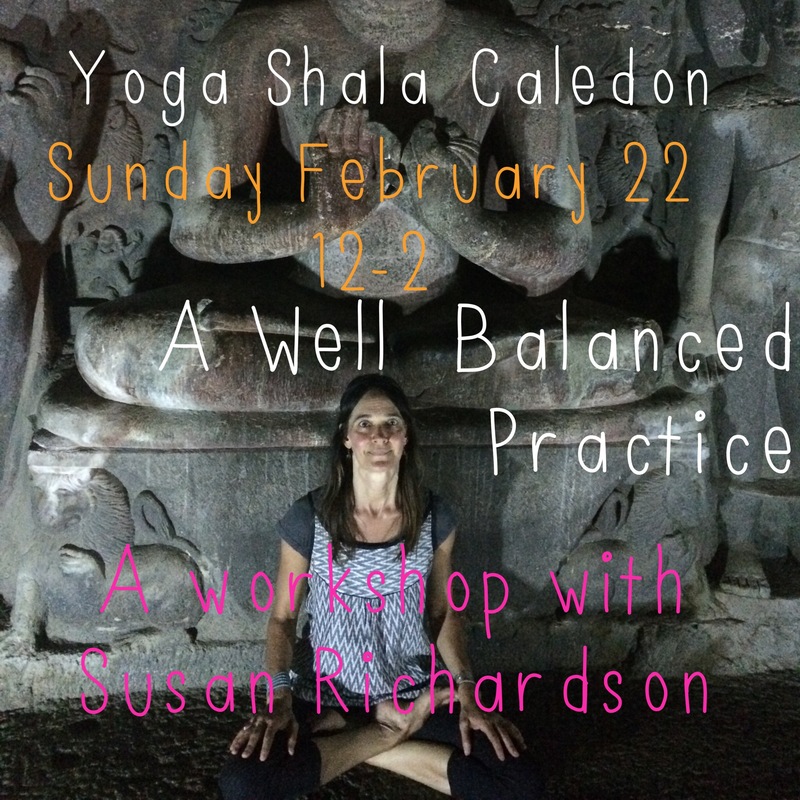 In this workshop we will explore how to create stable, grounded foundations for all catagories of asana, embodying the quality known as “sthira”. From the work with the earth one can then create space in the body, elongating and awakening the spine, as well as facilitating openness in the inner body. 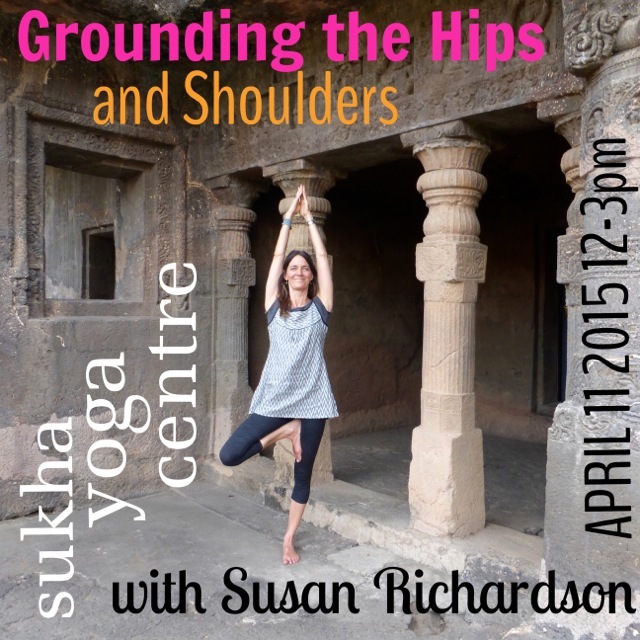 This workshop will be an opportunity to explore the quality of ease- “sukha”. Asana practice is our opportunity to be present and awake, creating a still center around which all other phenomena can ebb and flow. In this workshop we will look at how to use the breath to find the still point in more challenging and difficult asana. Pranayama is the practice of restraining the breath, yet can also be understood as a way to unrestrain the vital energy in our bodies, creating conscious connections and a deep state of restfulness. 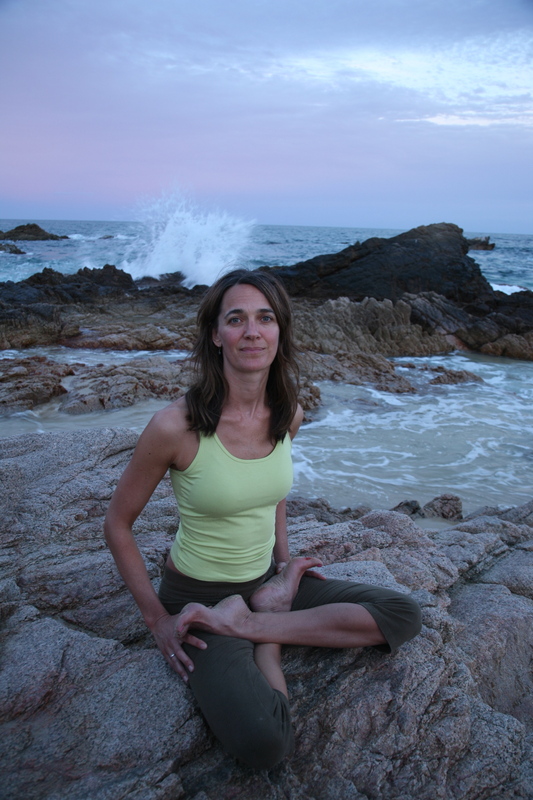 In this workshop we will practice restorative asanas and various pranayama techniques. Expand your knowledge and experience of yoga asana, through the exploration of Iyengar Yoga. Open to all interested students with a solid foundation of asana practice and teachers as a tool to enhance their skills. Workshops can be attended as individual sessions or as a complete series. Each workshop $40 pre-registered or $45 @ door. Complete series of workshops $108. All prices include tax. Our yoga practice begins with our connection to the earth which brings groundedness, stability, and awareness of the necessary pathways of alignment. In this workshop we will work with the earth element of the body, the muscular-skeletal structure, by exploring proper alignment which allows for the vitality the inner body and leads us to further awareness of the more subtle aspects of our existence. The visceral body is composed of the elements of water and fire. In this workshop we will practice backbending and twisting postures which energize and vitalize the inner body, massaging and toning the internal organs, and promoting the health of the endocrine and circulatory systems. We will we look at sequencing and how to combine backbends and twists in a healthy, therapeutic way. Inversions allow us to shift the effects of gravity on blood flow, the organic body and the spine, and are a wonderful preparation for pranayama. In this workshop we will explore the mother and father of all asanas, shoulderstand and headstand as well as other inversions. We will also look at supported inversions and variations that are safe for all levels of practioners, with the ultimate goal of creating more space in the body and enabling prana to flow freely. One of the core elements of a healthy yoga practice and a healthy life is the art of relaxing deeply.Restorative yoga is a style of yoga that enhances the ability of the student to relax and let go of tension, completely calming the nervous system. This workshop will be an opportunity to experience deep relaxation, and the ability to cultivate this state of inner peace even during more difficult moments. Time will be spent time both with restorative, supported yoga postures and sitting meditation practice. Yoga Festival Toronto is a yearly festival of the Yoga Tradition inspired by content, vision, and community, held at the National Ballet School. The Festival aims to unite, inspire and support local practitioners, teachers, studios, and lineages with a broad range of presentation topics, practical classes, and round-table discussion and debate. The Festival is open to practitioners of all levels: those just discovering yoga, long-time students, teachers from all lineages and traditions. The physical body is the gateway to our understanding of the increasingly more subtle aspects of our existence. Through asana practice we are able to integrate body and mind and move towards a more balanced state of harmony and wholeness. In this workshop we will explore the underlying principles of standing postures which develop an intelligent foundation for all other asanas, creating a safe therapeutic, and fluid yoga practice. In this workshop we will explore a sequence of sitting and supine asanas moving into a deeper awareness of the muscles of the pelvic girdle. We will look at strategies to open and balance the internal and external rotators, hip flexors and extensors, the adductors and abductors… all necessary to create freedom in the spine. Backbends are essential for a healthy spine. They open the heart and stimulate circulation in the whole spinal column and they are a powerful medicine to achieve emotional balance. In this workshop we will explore the proper alignment of backbends to make them more accessible and open. These workshops are an opportunity for mind/body awareness as we connect, combine and refine standing postures, hip openers and backbends in various ways. Visit yogafestivaltoronto.org for more about the Festival. One of the core elements of a healthy yoga practice and a healthy life is the art of relaxing deeply. From this ability the individual is able to provide themselves with deep rest and healing. Restorative yoga is a style of yoga that will enhance the ability of the student to relax and let go of tension, as well as heal individual ailments. It is through obtaining deep rest that we are able to pursue a vigorous yoga practice as well as an active and happy life. This workshop will provide the beginning student with the tools they need to experience deep relaxation, and the ability to cultivate this state of inner peace even during more difficult moments. It will also address the various health concerns and issues of the individual students who attend the class. Come prepared to have fun and rest deeply! Have you wondered about all the ropes that hang from the wall? In this workshop we will explore the practice of “Yoga Karunta” which Mr Iyengar developed as a way to deepen aspects of practice, both to aid agility and lightness, and also cultivate calmness and stillness through longer holdings of inversions. Geeta Iyengar says, “Due to the rope movement the spine becomes supple and even difficult asanas can be done easily and safely.” Students should have a regular practice, level 1 or above. No absolute beginners please. In this practice oriented workshop, we will explore pranayama as a gateway to meditation – the merging of self and experience through being with what is. Although the techniques of pranayama are dropped in sitting meditation, they help to cultivate stability, relaxation, and mindfulness which is the essence of meditation. This five day advanced yoga study program is organized to provide experienced practitioners doorways into new levels of practice. Applicants should have between five and ten years of continuous practice. The asana portion of the course looks deeply into the physiology, psychology and therapeutic benefits of yoga postures as they mature. We will deconstruct traditional sequences in creative ways to learn how postures become tools for deep meditative insight and how our practice can grow with us as we age. The meditation portion will alternate between silent sitting meditation and guided meditation. 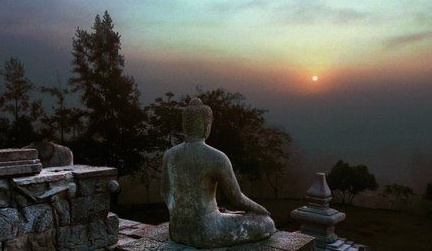 Meditation class will be formal focusing on the teaching of Patanjali and the Buddha. The philosophy portion will juxtapose teachings from key yoga texts including Yoga Vasishta and Yoga-Sutra with favorite poets and philosophers. Classes are divided between lecture format and invited debate. Susan Richardson will be teaching Iyengar approaches to advanced postures, Michelle McAdorey will offer sitting instruction and Michael will weave together these components with asana, pranayama, chanting and philosophy. Practicing inversions is a great way to develop balance, strength and confidence. They teach the body how to stabilize by using your core muscles, and they help us to stay calm and connected to our center. All in all, they revitalize and rejuvenate your whole system, flooding your vital organs and brain with nourishment. In this workshop we will safely explore the art and the joy of being upside down. We will focus on a sequence to prepare for headstand, shoulder stand, forearm stand and handstands. We will take these challenging postures and break each one down into manageable stages and modifications, using strengthening exercises, props, partner work and breathing techniques making them accessible to you in your daily practice! Pranayama is the controlling of the vital energies of the body. The practice of pranayama is deeply relaxing and calming for the nervous system allowing for stability in the body, and also clarity and focus for the mind. In this practice oriented workshop, we will explore pranayama as a gateway to meditation – the merging of self and experience through being with what is. Although the techniques of pranayama are dropped in sitting meditation, they help to cultivate stability, relaxation, and mindfulness which is the essence of meditation. Meditation is the practice of being with what is, and of seeing what is. We will question what it is that keeps us from ‘being with what is’, and how to cultivate awareness of what is going on moment to moment. In these workshops we will explore practical tools to aid the simple and relaxing process of sitting comfortably on a cushion and watching the breath, the body and the mind. With practice comes an opportunity to transform negative states of mind and to allow for the settling of consciousness which opens us up to an infinite field of potentiality. 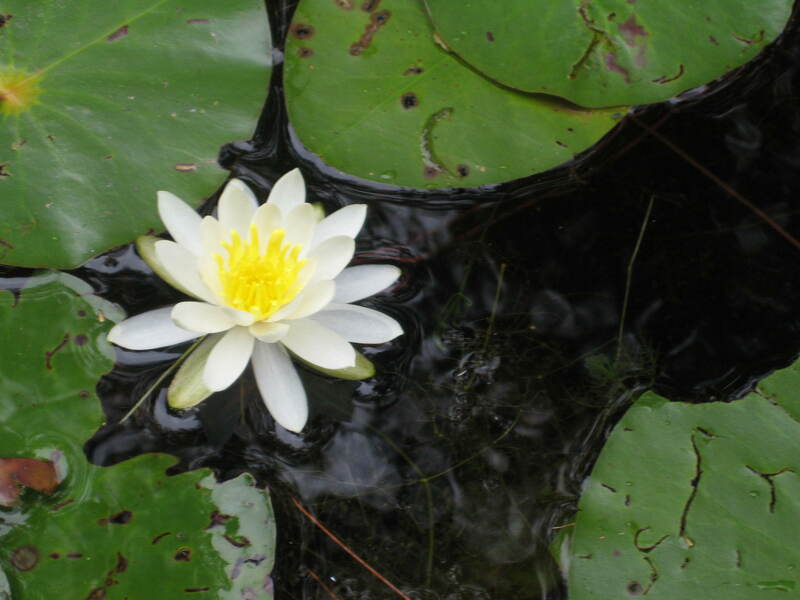 These workshops are intended for those who are new to meditation and also for those seeking to reaffirm their commitment to an existing practice. Each workshop will be a new opportunity to look at the teachings of Buddha and Patanjali in a direct and relevant way.